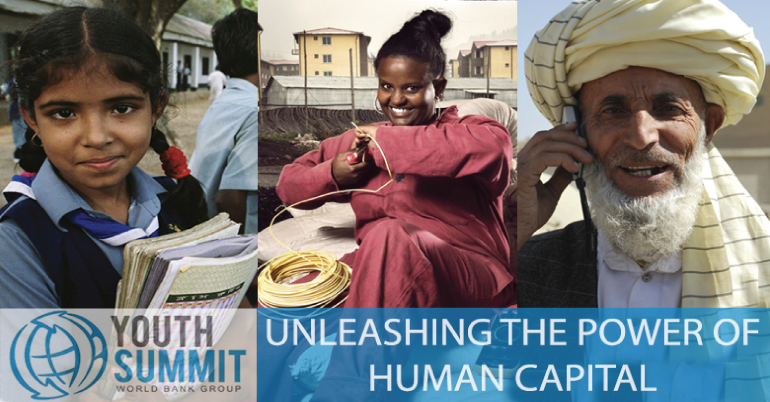 The World Bank is calling all young social entrepreneurs to submit an innovative idea that contributes to building human capital, the greatest asset of economies globally. Unleashing the power of human capital to ensure that individuals – at all stages of life – are well-equipped to fully realize their potential and shape their own paths is one of the most complex and pressing challenges of our time. Everybody has a role to play – governments, international organizations, non-profits, local communities, and individuals – but no one is better placed than young people themselves to identify, innovate, and overcome the obstacles faced in an era of fast-paced, technology-driven change. The purpose of this competition is to challenge young people to solve problems that i) enhance the foundations of human capital by addressing challenges related to childhood education, health, and nutrition; and/or ii) cultivate the skills, knowledge, and well-being of adults in order to improve the capacity of individuals to reach their full potential in an uncertain future. The competition provides a forum for young people to identify problems in their communities related to the two pillars of human capital and craft their own innovative solutions. In doing so, it aims to inspire, stimulate entrepreneurial problem solving, and create dialogue on innovative ways to unlock obstacles that have traditionally hindered investment in the potential and quality of life of individuals. 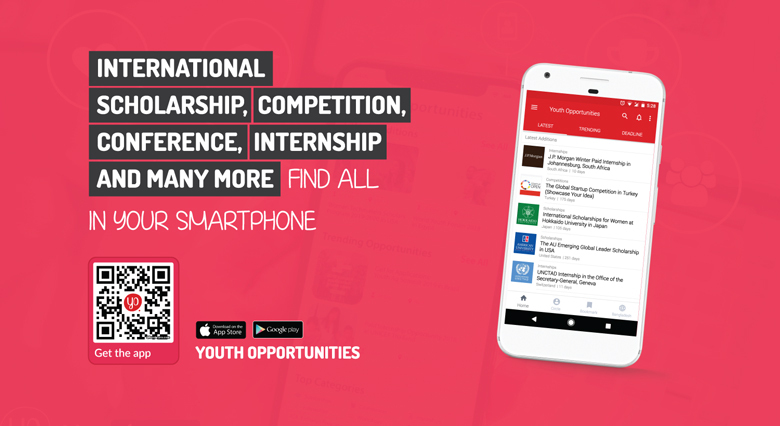 The Youth Summit 2018 Competition gives you the opportunity to share your idea, connect with peers and high-level experts, and explore how to bring your idea to the next level. Finalists will join the Youth Summit 2018, taking place at the World Bank Group Headquarters, Washington DC. The Youth Summit will cover all travel expenses and lodging in Washington DC for up to three nights for one representative from each finalist team. Prior entrepreneurial experience or business background is not required – all individuals with the drive to innovate are encouraged to participate, including professionals from business or policy, students and academics, NGO leaders, government officials and start-up founders. The Competition is open to individuals or teams of 1-4 people, aged 18 to 35 inclusive as of 11:59 pm EST on 5 October 2018. Teams and individuals are limited to one submission each. The Competition is open to nationals of ALL countries of the world. Proposals must be created by and owned by the Participants. Proposals must be submitted in English. The problem/need and the proposed solution outlined in the Proposals must relate to at least one of the subthemes outlined above. Proposals must (a) provide a short 2-5 sentence summary of the idea, (b) describe the specific problem/need that the proposed solution seeks to address, and (c) describe the innovation or solution proposed to address this specific problem/need (e.g., a product, service, program, policy, course, initiative, etc.). Proposals will be judged based on the following Judging Criteria: (1) Clarity, scope and relevance of the problem and of the proposed solution; (2) Innovation and originality; (3) Feasibility of implementation and whether it is sustainable over time; (4) Potential for impact. Please refer to the Competition Rules and Regulations (pdf) for further information about the Judging Criteria. Proposals must be between 1,000- 2,500 words in length, all-inclusive – i.e., including all bodies of text, titles, headings, tables, text boxes, footnotes, endnotes, references, appendices, etc. – and must not exceed 4 pages in total. The following information must be provided at the top of the first page of the Proposal: (a) the names and respective country of citizenship of the Participant(s) submitting the Proposal – for teams, all team members’ names and respective country of citizenship shall be listed; (b) the final word count (all-inclusive). To write your proposal, you can refer to the Writing Tips (pdf), which provide a resource to help you structure and develop your proposal – referring to these tips is not mandatory; proposals will be judged solely based on the Judging Criteria and Submission Rules. Make sure that you are aware of, accept, and agree with the Competition Rules and Regulations. Submit your proposal by 11:59 pm EST, 5 October 2018 through the online Competition Submission Form. You will be asked to provide some information about yourself and other team members – if applicable – including a short 200-word bio for each of you, and to upload your proposal. Participants should propose an innovative and action-oriented idea on how to boost the foundations of human capital for children and/or enhance the skills, knowledge, and health of adults. The proposed solution (i) can be aimed at business or policy (e.g., product, service, program, policy, course, initiative, etc. ), (ii) should solve a specific problem or challenge, and (iii) address at least one of the human capital subthemes in the two pillars below. Participants must submit their proposal by 5 October 2018. Proposals will be evaluated by an Expert Committee. Shortlisted individuals/teams will be announced by early November and will proceed to the next stage. Individuals/teams shortlisted in Stage 1 will receive feedback on their proposals and may be asked to submit further information, refine their proposals and/or submit short ‘pitching’ videos. Based on that, the Expert Committee will select the ‘Finalist’ individuals/teams who will proceed to Stage 3. The Youth Summit will cover all travel expenses and lodging in Washington DC for up to three nights for one representative from each finalist team. The entire morning of the second day of the Summit will be dedicated to showcase Finalists’ ideas. Finalists will present their proposal in front of a Judging Panel and Summit attendees – presentations will be live-streamed. One of the winners will be designated by the Judging Panel, and another winner will be designated by the audience.